DETROIT – Reggie Jackson was hot in the first half, Blake Griffin in the second. They came together, with a little help from the bank, to take the Detroit Pistons to the New York Knicks on Tuesday 115-108 at Little Caesars Arena. Griffin scored 30 points and Jackson contributed 21 points as the Pistons (11-7) won their third straight. The Knicks (7-15) had won three in a row, defeating Boston and New Orleans during that stretch. Griffin scored 13 points in the third quarter, but the Knicks, led by Allonzo Trier's 24 points, continued to spin. New York reduced the deficit to six before Johnson's triple and the crash of Bruce Brown gave Detroit an 81-70 lead after three. Johnson converted a pair of three-point plays in the first three minutes of the fourth quarter. 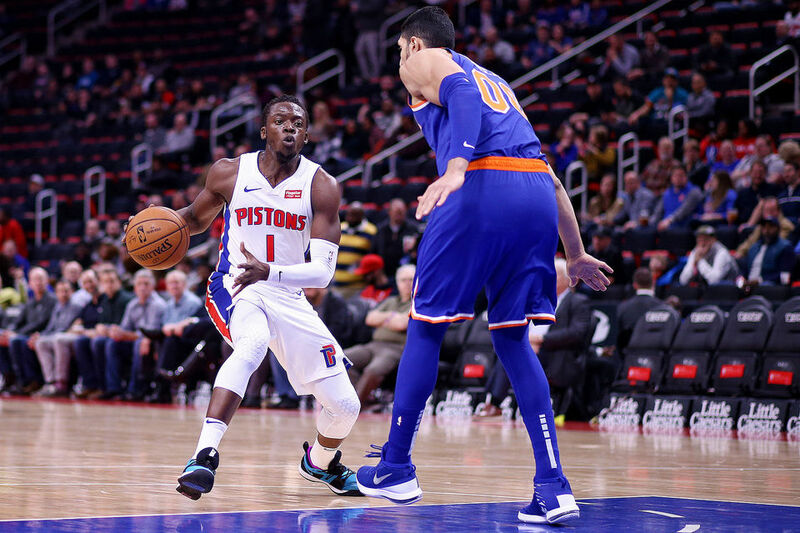 The Pistons increased their lead to 18 and were on cruise control until the Knicks backed down late in the fourth quarter, reducing Detroit's lead to eight with three minutes remaining and seven minutes remaining in the final minute. The reserves of pistons represented 50 points. Johnson scored 21, while Langston Galloway and Ish Smith each contributed nine. Zaza Pachulia (nine points, six rebounds) provided more quality minutes after an early foul problem in Andre Drummond (six points, 14 rebounds). The Pistons led 51-43 at halftime despite the fact that Drummond did not score points, missed four shots and four free throws (he's 1 for 12 of the line in the last two games). Jackson recovered with 17 points, including 12 in the second quarter to prevent the Knicks from closing the gap. The Knicks, behind Tim Hardaway Jr. (seven points) and Enes Kanter (six points), jumped to a 15-7 lead. Griffin helped eliminate him with nine points in a row. Johnson gave his team the definitive advantage with a triple and followed with a layup, as Detroit led 24-19 after a quarter. Trier added 10 rebounds and seven assists for the Knicks. Hardaway scored 19 points. Kanter contributed 16 points and 14 rebounds.